David Blackmore will be making a participatory artwork that aims to challenge notions of national identity – using transnational European identity as an alternative. 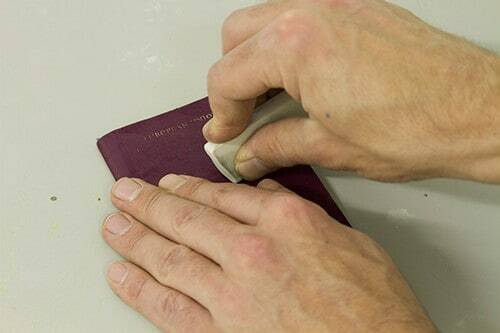 Dependent upon the Open Weekend visitors, who will be working with their own passport covers, this work will instigate, develop and maintain a conversation surrounding the relevance of national and European identity as BREXIT approaches. David asks that people wishing to fully participate should bring their passports. However, if you’re interested in exploring the idea of European transnationalism and are not willing to use your own passport, an alternative process will be made available. Find out more about a similar workshop run by David here.